So far craigs has created 5 blog entries. Downton Abbey Wine Cabernet Sauvignon is featured on Wine.Net Top 50 Best-Selling Amazon Wines of 2015. “Amazon’s reviewers agree that this vino is earthy, full-bodied, and similar to… merlot/sangiovese blends,” said Wine.Net’s resident expert. We think Carson would agree. Share your own Downton Abbey Wine pairings and reviews in the comments or in the store. ACAMPO — The life of an aristocrat is the stuff of fantasy for many Northern Californians, but now thanks to Lange Twins Family Winery and Vineyards and Wines that Rock, at least we can drink like one. “We are thrilled to broaden our Downton Abbey Wine portfolio to include these popular varietals crafted with exceptional California fruit,” said William Zysblat of Wines that Rock and co-founder of Downton Abbey Wines. When “Downton Abbey,” came along with its emphasis on elaborate dinner parties and fine wines, it seemed right for Wines that Rock. It also didn’t hurt that the shows audience appeals to a broad age-range and is 75 percent female. The first wine the labels offered were bordeaux blends made in France, very much in keeping with what Edwardian aristocrats like “Downton Abbey’s” Crawleys would have drunk. Zysblat said they were very popular, even among customers who didn’t consider themselves bordeaux drinkers. The return of Downton Abbey means more Crawley family drama, more costumes to drool over and more character-themed wine, of course. 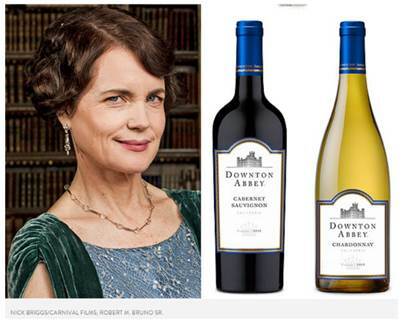 The show’s modern, American-born Cora Crawley (Elizabeth McGovern)— wife of British aristocrat Robert Crawley — is the latest source of inspiration for Downton Abbey Wines new line of vino. The Countess of Grantham Collection features a Chardonnay and a Cabernet Sauvignon both crafted with California grapes. The pair joins the existing collection of Downtown Abbey Wines — a Bordeaux “Blanc” white wine and a “Claret” red wine. RELATED: See Downton Abbey’s Dowager Countess Recreated in Cake — Creepy or Cool? You can find the wines for $15 a bottle at select grocery stores and wine retailers throughout the U.S. What’s in store for future vintages? Something that highlights the Dowager Countess’s dry wit, we hope. 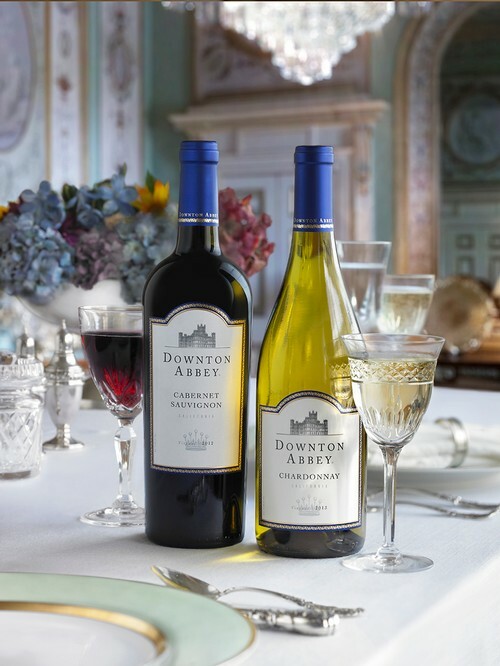 Just in time for the premiere of Downton Abbey’s fifth season, Downton Abbey Wines expands its growing portfolio with The Countess of Grantham Collection – a delicious selection of varietal wines crafted with premium fruit from California. The New World bottlings, including a Cabernet Sauvignon and Chardonnay, take inspiration from Lady Cora Crawley, the thoroughly modern, American-born wife of British aristocrat Robert Crawley, Earl of Grantham. Bold-flavored and fruit forward, the new wines are the perfect counterpart to Downton Abbey Wines’ more classically reserved Bordeaux offerings. The Downton Abbey winemaking team looked to estate vineyards in Lodi, California as the high-quality fruit source for the new wines. Combining the best old world winemaking practices with the newest winemaking techniques, the finished wines offer a distinct new taste option for Downton Abbey Wine fans seeking a uniquely modern twist. The fruit-driven Downton Abbey Cabernet Sauvignon and Chardonnay are full-bodied wines with an abundant concentration of color and flavor. Scents of ripe red cherries and subtle oak dominate the nose in the Cabernet Sauvignon with spicy notes and soft vanilla on the palate. The Chardonnay offers the lovely aromas of tropical fruits and delicate oak giving way to citrus flavors on a soft, silky palate. The new Downton Abbey Wines will be available at select grocery stores and wine retailers in the U.S. beginning January 2015 for $15.99 per 750-ml bottle. 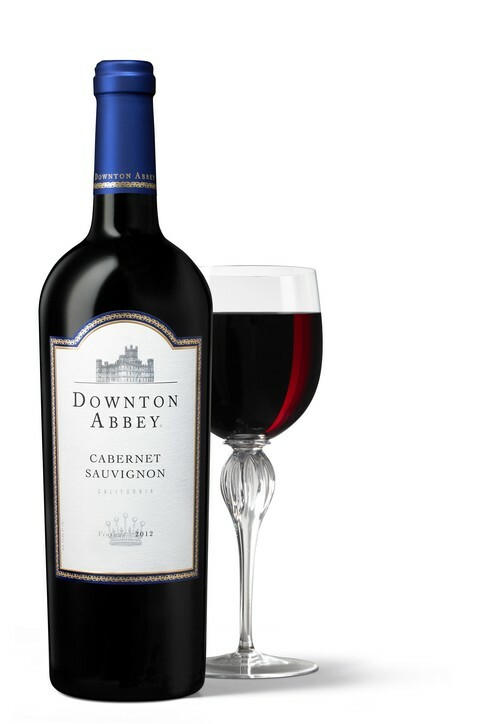 To enter the exclusive sweepstakes or be one of the first consumers to try the new blend, visit www.downtonabbeywine.com.